Many applicants don’t know how to write a government resume for www.usajobs.gov. There are a few methods for writing and creating a government resume, the first key is to review the major duties of the job announcement. You MUST “mirror” your resume on the major duties and the announcement job description to ensure you have all the information required to meet the minimum qualifications for the position you are applying for. It is recommended that applicants create a word document and type your “basic” resume up in the desired format. Once you have your basic resume, make a folder for other more specific resumes you may need to create for positions you may apply for. Once you have your basic resume completed you will be able to edited the basic resume and tailor it toward other positions you wish to apply for. Second, in order to tailor your resume, it is suggested that applicants use the “major duties” section of the job announcement as a outline for what information to include when completing the application. Basic resume information pre-written will allow for easy transfer of information and it is important to explain in detail how you meet the “major duties” of that particular job announcement. You can do this in bullet format, or in a standard resume format. Either way, you need to custom tailor your resume in order to receive full qualification consideration from the agency advertising the job announcement. If your basic resume doesn’t state those exact “major duties” you may not be found qualified for the job announcement. Don’t be afraid to contact the point of contact on the job announcement. If there is a number or an email address, you may contact that point of contact to ask about the major duties, job description or to ensure your application was received or not. The bottom line is to custom your resume toward the job announcement in order to ensure your application receives the attention it deserves. Keep in mind, if you over state your qualifications your application can be discarded or your applicant score could be lowered. Ensure to be honest in answering the applicant questions. The details are key, but exact verbiage is important as well. 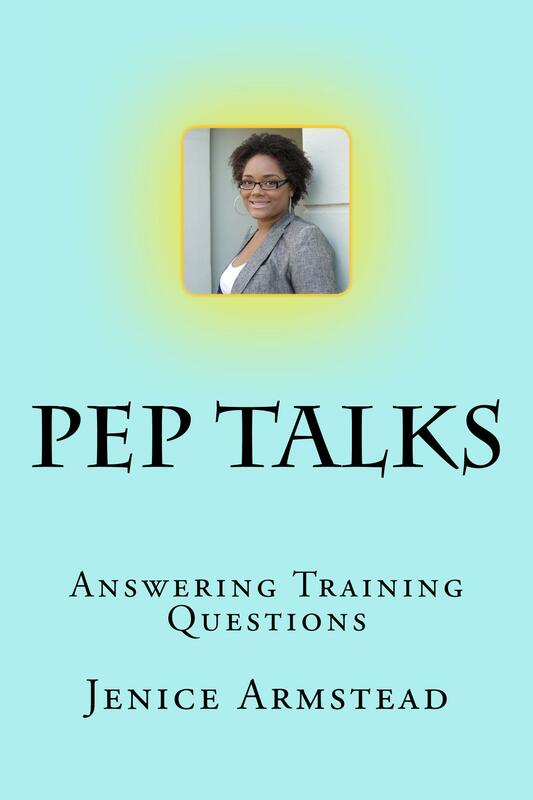 I am so exited to announce my latest book: PEP TALKS Vol 4 – Answering Training Questions! The “Pep Talks” Book Series, are a compilation of advice, insight, examples, sample interview questions and professional advice. The Pep Talks Book Series clarifies difficult interview questions as the reader focuses on their goals. The Pep Talks Book Series gets the reader moving in the right direction, and saves the reader time and effort, along with helping the reader narrow down what areas are in need of professional enhancement. The Pep Talks Book Series addresses all types of difficult interview questions that may be asked of the reader during an interview or during a conversation being had by an interviewee. It is important for the reader to understand that an interview can seemly happen at any given time or place, so it is good practice to have some “pre-set” answers to some of these questions to provide a more fluid professional appearance. Nervousness often happens during interviews or with conversations with people whom are unfamiliar. I know how hard the job market is, and I started this series to give you the “Pep Talk” that you need to keep your focus on your dreams and career goals!